The Emerson Model 6200 Compression Tester was created for the performance testing of shipping containers. 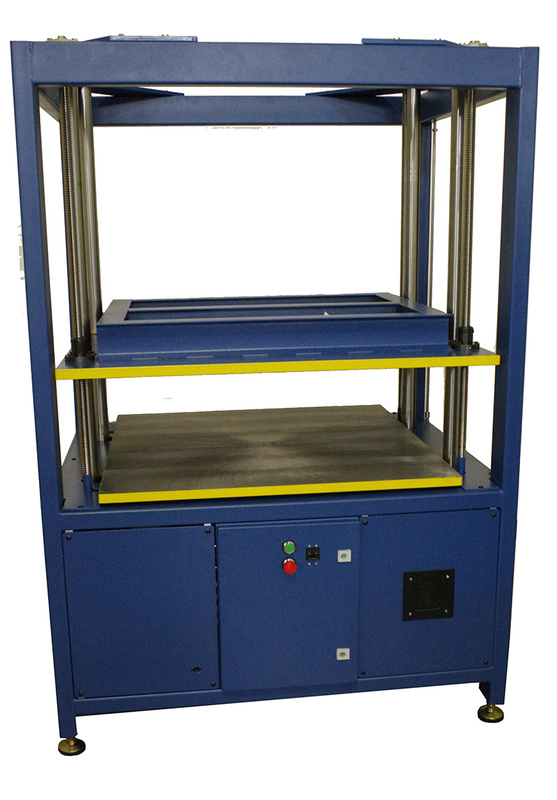 Designed in accordance with the requirements of ASTM D642 and TAPPI T804 equipment specifications, its functionality allows for the performance of a variety of test procedures, including T804, D642, D4169, 49 CFR, Item 180, and ISTA. 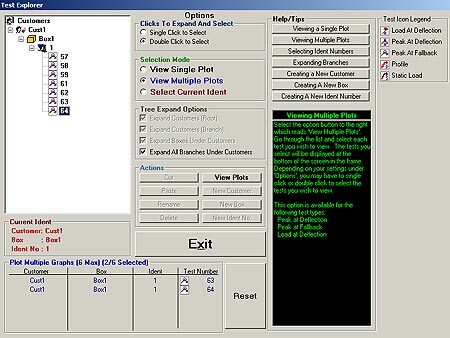 All Compression Tester Models come with our Dedicated Computer Controller System, Color Printer, Color Monitor, and our pre-loaded Emerson Compression Tester Software Program (Windows Operating System). The Emerson Model 6210 Compression Tester was created for the performance testing of shipping containers. 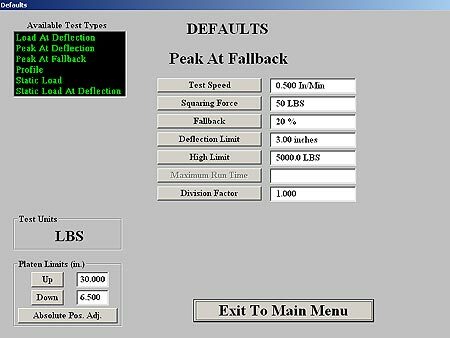 Designed in accordance with the requirements of ASTM D642 and TAPPI T804 equipment specifications, its functionality allows for the performance of a variety of test procedures, including T804, D642, D4169, 49 CFR, Item 180, and ISTA. 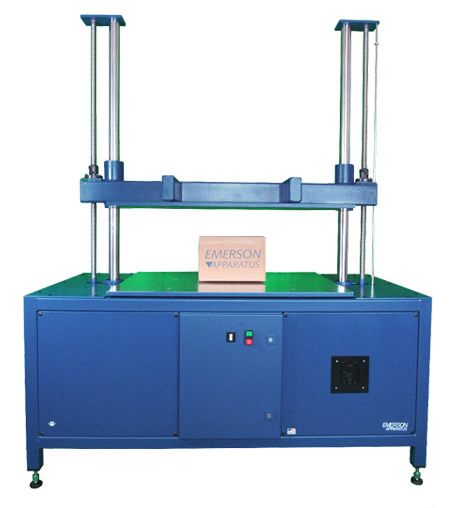 The Emerson Model 5205 Compression Tester was created for the performance testing of roll cores, corrugated shipping containers, tubes, bottles, and cans for the packaging, plastic, and building products industries. It features a protective enclosure to prevent injury from core fragments. Designed in accordance with the requirements of ASTM D642 and TAPPI T804 equipment specifications, its functionality allows for the performance of a variety of test procedures, including T804, D642, D4169, 49 CFR, Item 180, and ISTA. 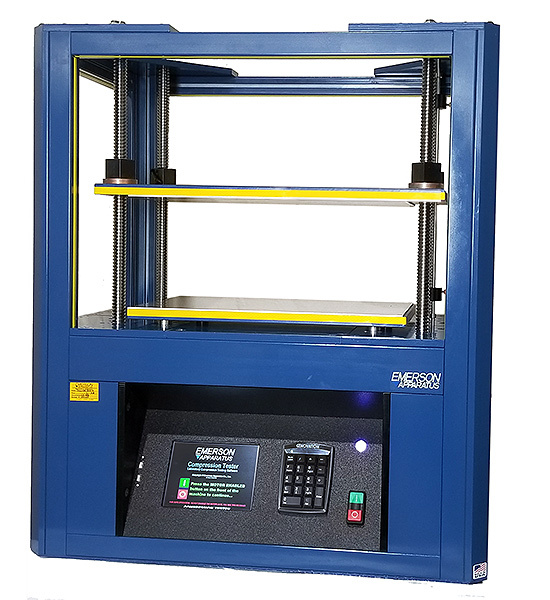 The Emerson Model 5200 Compression Tester was created for the performance testing of shipping containers. 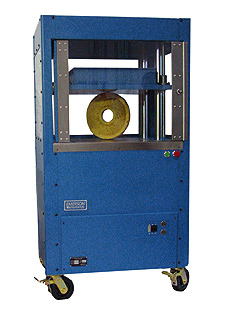 Designed in accordance with the requirements of ASTM D642 and TAPPI T804 equipment specifications, its functionality allows for the performance of a variety of test procedures, including T804, D642, D4169, 49 CFR, Item 180, and ISTA. 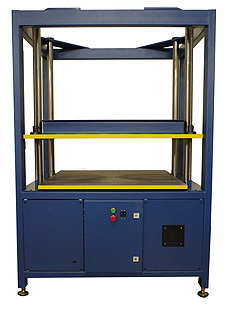 The LVDT Instrument Package is appropriate for measuring any product displacement when load is applied. 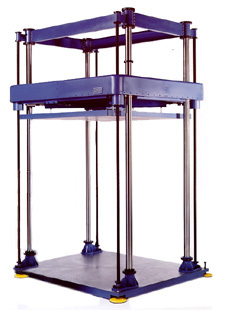 The LVDT Instrument Package consists of three (3) linear displacement sensors used on tests that apply loads for prolonged periods where tracking test object sag or other linear displacement measurements are required. Typically used in the pallet testing industry, these sensors are placed vertically under the test item which is set on precision blocks. A load is applied and distributed evenly over the product utilizing a specially designed Emerson load bladder. The force is held on the product and the sag over time is measured under the product at three places. Forces applied may be programmed steps or a single force for a specified duration. Other tests allow determination of overall load required to meet a specific deflection on the center displacement sensor, with all three sensors charting until conditions are met. These sensors have a 2” displacement range and are very high resolution (0.0001”). 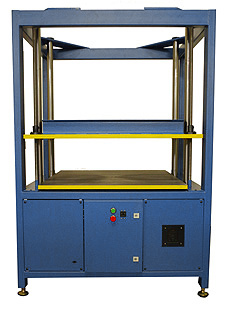 The Emerson Model 5210 Compression Tester was created for the performance testing of shipping containers. Designed in accordance with the requirements of ASTM D642 and TAPPI T804 equipment specifications, its functionality allows for the performance of a variety of test procedures, including T804, D642, D4169, 49 CFR, Item 180, and ISTA. 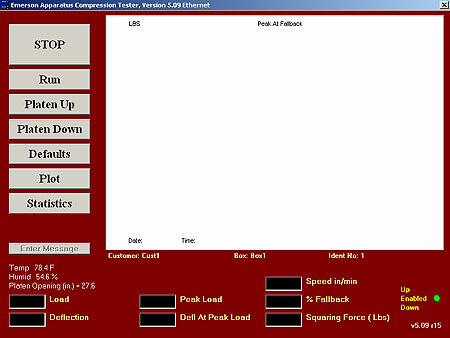 The Emerson Model 7200 Compression Tester was created for the performance testing of shipping containers. Designed in accordance with the requirements of ASTM D642 and TAPPI T804 equipment specifications, its functionality allows for the performance of a variety of test procedures, including T804, D642, D4169, 49 CFR, Item 180, and ISTA. The Emerson Model 8510 Compression Tester was created for the performance testing of shipping containers. Designed in accordance with the requirements of ASTM D642 and TAPPI T804 equipment specifications, its functionality allows for the performance of a variety of test procedures, including T804, D642, D4169, 49 CFR, Item 180, and ISTA. Pictured: Modified 2210 Compression Tester.